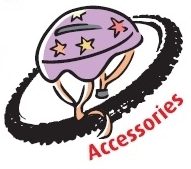 In the rear of our Shop you will find a full display of items to accessorize your bike. From coloured wheels & tyres to gel-filled saddles. 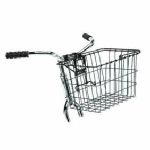 Cycle helmets, front & rear lights, shopping baskets, stunt-pegs, baby-carriers, pumps, valves, inner-tubes, all manner of things. Give us a call, tell us what youâ€™re looking for and weâ€™ll see what we can do.